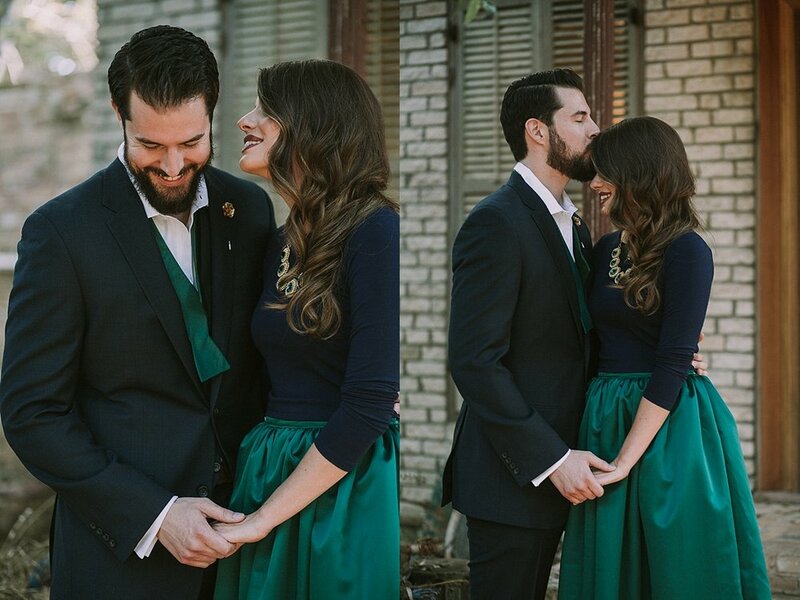 So, I love a big party, I really do.. but there's something about intimate elopements that makes my heart skip a beat. 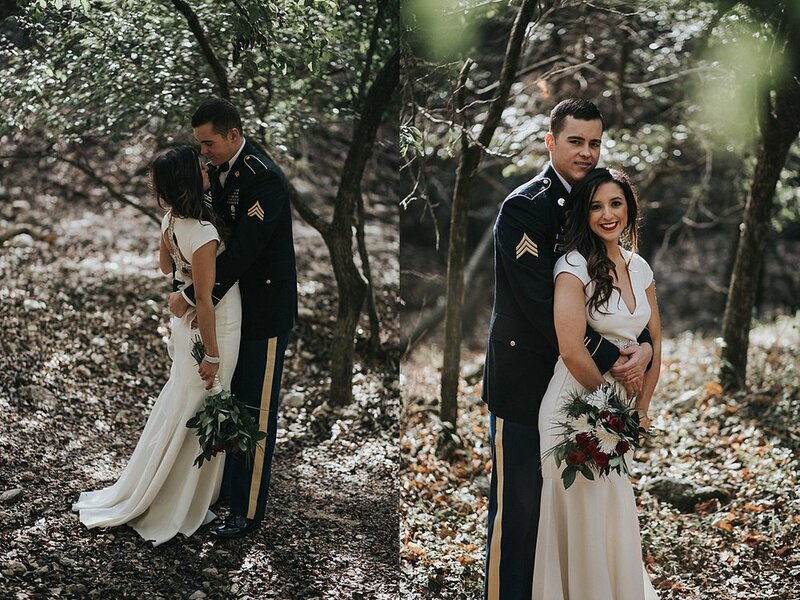 This beautiful Elopement in New Braunfels, Texas was no exception: Lauren and Sam eloped at Founder's Oak in Landa Park in New Braunfels, on New Year's Eve 2016 with Everlasting Elopements. How did you choose to elope? Although a big wedding was something we contemplated but we decided to that we would have our ceremony for us. We wanted the memories and the photos and the moments, in nature and with each other. I wanted something that was a little sparkly since we decided on new years eve, but not over the top. 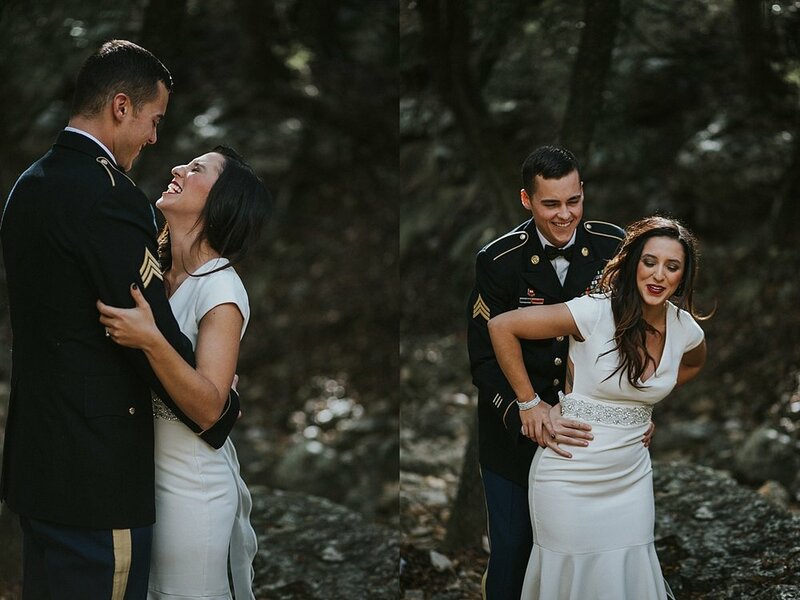 When I picked the dress is was plain but my consultant invisioned all the extras and made it happen. The designer was Diane at her shop D'Angelo in Mission Valley, San Diego, CA. The Shoes I bought at Macy's and felt they went well with the my theme, I actually bought the shoes before I bought the dress, and I bought the boots for a little more comfort plus we got married in Texas. :) The jewelry I wore was my mothers. I think deciding to write our own vows was my favorite part, and i would recommend doing this, it was it very special. I don't know that I can pick just one, I like the one of us almost kissing when you can see my earrings.. but i like that Jackie had ways of having us laugh and have so much fun. 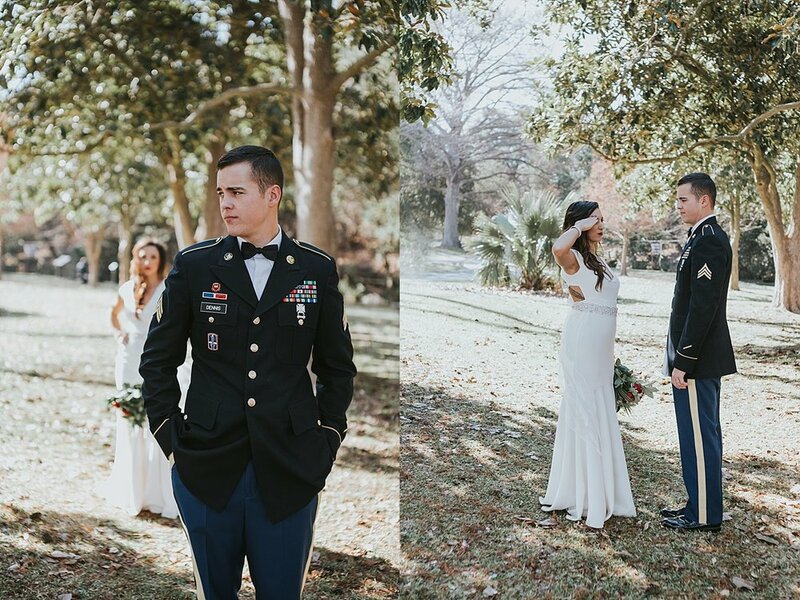 What did you do on your wedding day? 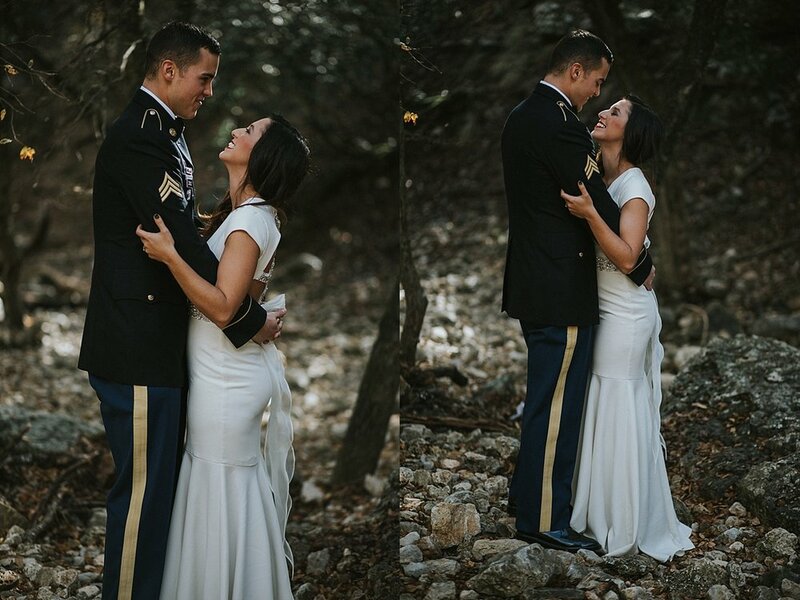 Did you exchange wedding gifts?What happened immediately following the ceremony? Did you have a special wedding dinner, if so where? We decided against wedding gifts, the flowers i bought at HEB and put together myself. Our situation was a little unique because we had been on the road for almost 2 weeks traveling prior to our wedding day, although we did have a hotel reserved for that night we decided to go ahead and spend our evening together at home. Both of us were very happy with this decision. What was the best part of eloping? What did you find most challenging? The best part was defiantly the low stress and just being able to focus our each other and our day. But is was a little challenging because we are both very close to our families and it was a little hard for them to not be around. 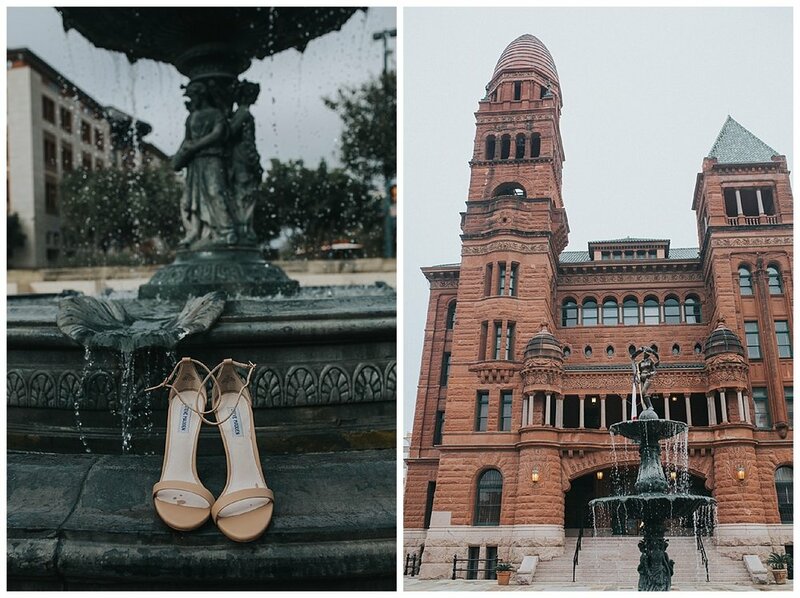 Jackie Willome Photography- San Antonio, Austin, New Braunfels Elopement Photographer. We started at our company about the same time and caught each other's eye right away. On separate occasions we were caught staring at each other from across the room by our bosses. Garrett first approached me in line for lunch in our cafeteria when he opened with the stellar pick-up line, "Mac n cheese, huh? Nice." before walking away. We often had breaks at the same time, and after weeks of building up courage, I went in and sat next to him in the break room, where we finally introduced ourselves. 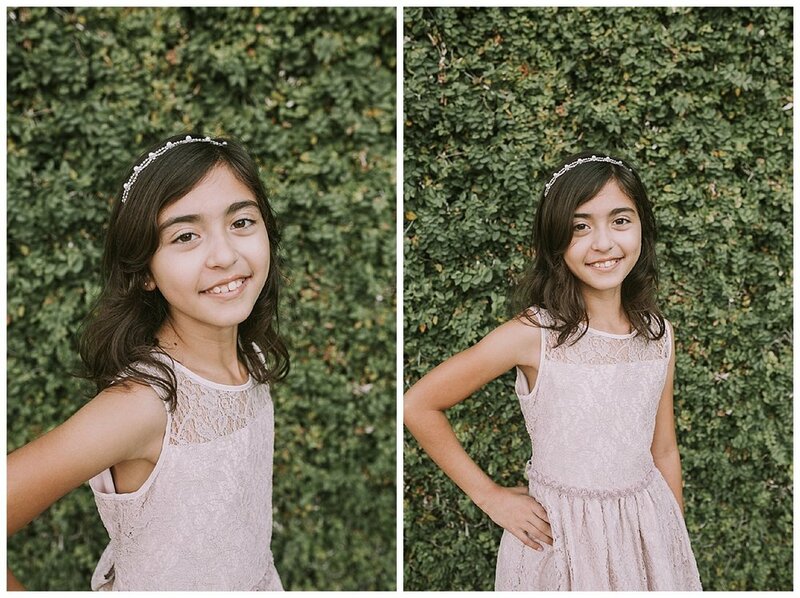 Jackie posted photos from another shoot on social media and we loved the mood that the location brought to the images. 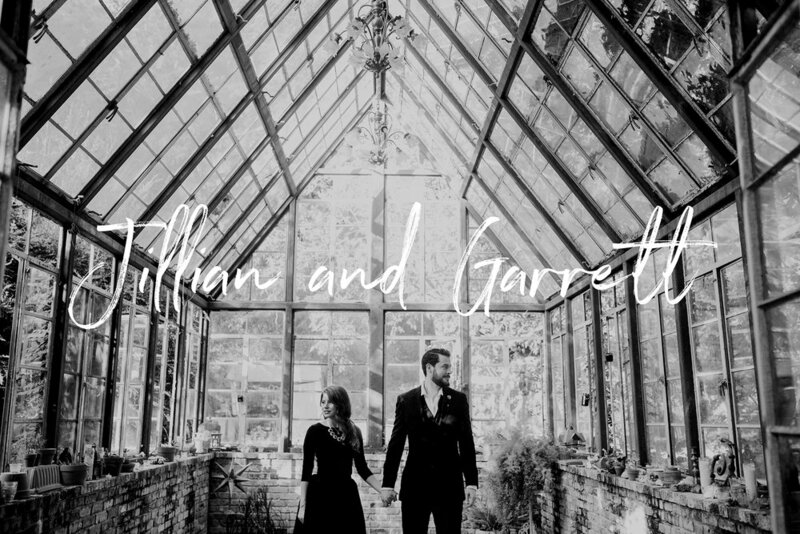 Sekrit Theatre was very rustic and eclectic, which fits our style to the T. The "theatre" elements were also a perfect tribute to our engagement. We were excited about the opportunity to shoot in a variety of settings for a more diverse selection of images. Garrett proposed April 29, 2016! We had already picked out a ring, so I knew it was coming, and my mom was coming into town for the week on the 30th, so I figured it would probably be that week. Since my mom was going to be staying with us for a while, Garrett suggested we have a date night the night before she came in. One of our favorite things to do is go to movies at the Alamo Drafthouse and Garrett had gotten us tickets in advance to a throw-back screening of the 90s slasher film, Scream, where they would be giving away Ghost Face masks to be worn during the show. We were planning to go to the movie and then dinner and drinks. Normally, we enjoy dressing up for the special showings at the Drafthouse and I suggested wearing a sweater covered in fake blood as a tribute to the gory film. When Garrett insisted that he wanted to take me somewhere nice afterward and that I absolutely should not dress up for the movie, I became a little suspicious. As we were getting ready, about 45 minutes before the movie was supposed to start, Garrett came running in to tell me he got the theatres mixed up and our showing was actually in New Braunfels. Between the mix-up with theatres and my mom not coming in until the next day, I decided that my suspicions were unfounded and there was no way anything could be happening. Since we were now running late, we rushed to the theatre, parked quickly, and ran inside. As we headed in, I remember asking Garrett “why is your hand so clammy?” He assured me he had too much caffeine and was just jittery. When we arrived at our screening, we were just in time and were given the last two Ghost Face masks, though when we walked in, it was already dark and everyone was already wearing their mask. We quickly made our way into the front row as the server, dressed in a slashed up t-shirt picked up our order just in time for the previews to start. The first couple of previews were normal—shows that would be released in the next few months, but as the third preview began, I couldn’t place what movie it was, though the voiceover sounded very familiar…and suddenly, there was Garrett, right on the big screen. The preview turned out to be an incredibly well-made trailer Garrett had made documenting our relationship. He played me and alternated his best friends playing him. He even featured our beloved dog children as well as many of my favorite songs in the soundtrack. The 10 minute movie ended with him stating “I had everything I ever wanted, and so there was one thing left to do…”and the lights came up as he got down on one knee and pulled out the ring. He proceeded to propose “in front of all of our friends and family”, gesturing to the packed theatre behind me. As turned to look, our fellow movie-goers removed their masks to reveal our closest friends and relatives including my mom (turns out her flight itinerary was photo shopped! ), my cousin from Arizona, and my several of my best friends from Dallas. At this point, my dreams of a whispered “Yes!” through gentle tears and a glowing smile were crushed because I had reached a full-on ugly cry. It was though loud, choking sobs, and a blotchy snot-and-mascara-covered face and only after my mom had to shout “So what do you say? !” that I finally croaked a resounding “Yes!” At this point, one of Garrett’s best friends shot off a confetti canon and the Drafthouse staff came in with trays of champagne for a celebratory toast. At last, I was able to kiss my new fiancé as colored paper rained down on us at our favorite place, surrounded by our favorite people. We spent the rest of the evening enjoying drinks and appetizers (all set up by Garrett) with our loved ones. I still can’t believe the level of thought, detail, and effort Garrett put into making our engagement perfect. He went well out of his way to coordinate creating an elaborate movie of us in the rare moments we are not together (sometimes shooting in only a couple of hours at a time over the course of five months), which I will treasure forever. Not only that, he went to painstaking lengths to make sure that I was completely surprised by something that I had a pretty good idea was coming (and trust me, I analyzed his every move for months). He secretly brought my family in from all over the country, and ensured that the theatre staff played along from listing the showing on the theatre marquee to setting up the table to hand out masks (oh, and remember the server dressed in slasher gear?). He forged flight itineraries and movie tickets and invented diversions to keep me in the dark (literally and figuratively) until the final moments. Even in my wildest dreams, I truly could not have imagined a more perfect night. I have very unique taste and wanted something with a very antique feel, though when we looked at actual antique rings, the quality wasn't there. Garrett decided to have a ring custom made and went to several jewelers to discuss what we had in mind. He settled on Medlar's, a local, family-owned business. After being greeted and assisted directly by the owner, I knew he had a clear understanding of what we were looking for and he went out of his way to demonstrate that they could make it happen, even masking surprise details like our initials embossed underneath the diamond setting. Choosing a wedding date was achieved by narrowing down time frames. 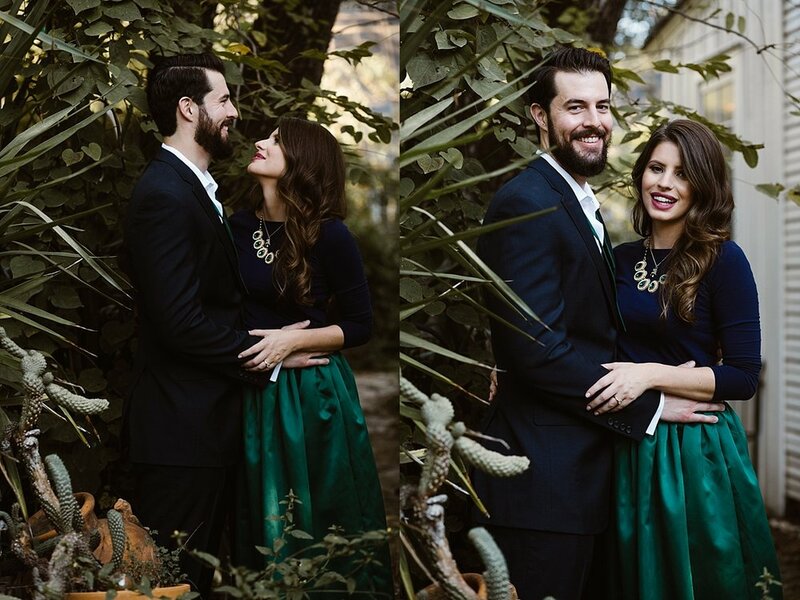 Initially, we considered getting married in the spring since we didn't want to have a long engagement, but for both of us, fall is our favorite time of year. 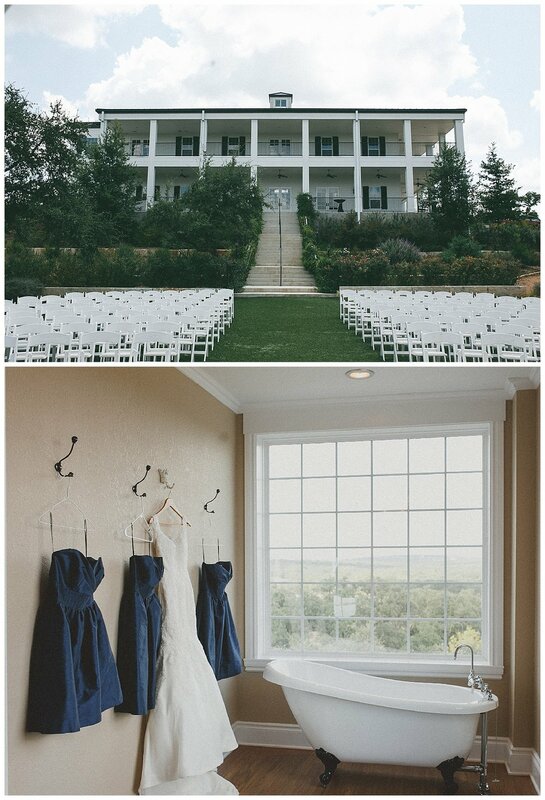 We don't really care for pastels and florals, so decorating for a spring wedding would have been very challenging. In the end, we decided that having extra time to plan would make the process less stressful, so we decided to go ahead and wait until fall. From there, weather became a factor--we didn't want it too hot or too cold and since it stays exceedingly warm through October with the first cold snaps in December in south Texas, we thought November would be our best bet. 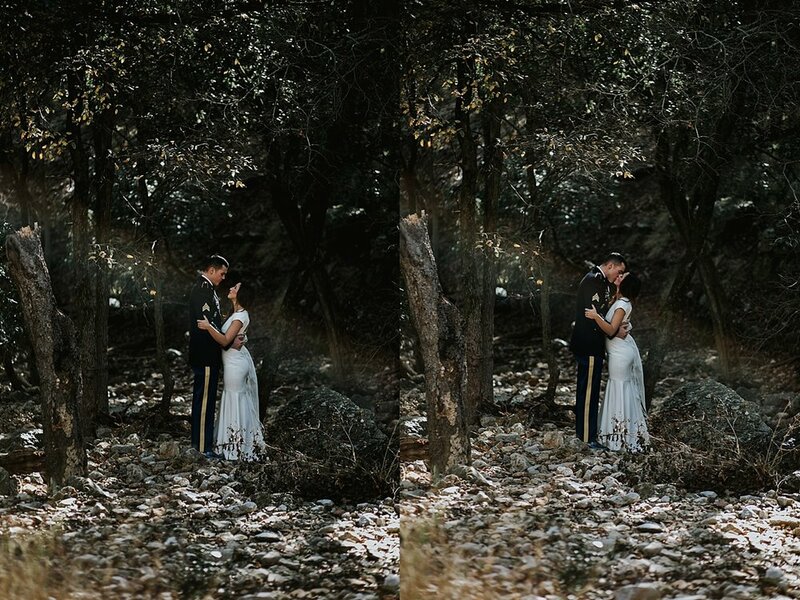 Our next consideration was lighting and time of day for our ceremony--the first weekend in November was the last weekend of daylight savings, so it would still be light until well after 7 pm. We really wanted an ambient, candlelit ceremony, so we ruled that date out. The following weekend, November 11 was available and according to numerology, 11:11 is thought to signify a moment to pause, be present, and create a vision for the future, which is why many choose to make a wish at that time. We thought the meaning was very significant to starting a marriage, so that is what we chose. Our venue is the Ingenhuett on High in Comfort, TX. We fell in love with it the moment we saw it as it fits our style perfectly. It has an antique industrial feel, with exposed brick and stone work and wrought iron details throughout the space. As a history major in college, I also appreciate its historical significance as one of the oldest buildings in Texas and its past use as a general store, bank, and post office. Since Garrett and I met working at a bank, we also like that he original bank vault is featured in the reception space. Garrett is most excited about our first kiss as husband and wife. I am most looking forward to our first look. I can't wait to see my groom on our wedding day! The best advice I have is to focus on one detail at a time. Wedding planning checklists are a huge help in determining which details to focus on first. 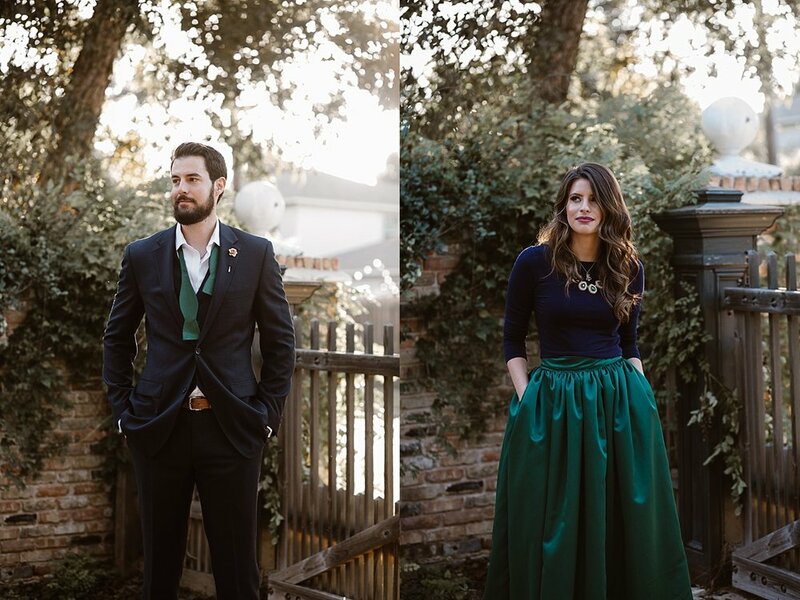 Whenever I thought about planning the wedding on the whole, I felt extremely overwhelmed--there is so much to do! However, when thought about just determining a venue or caterer or dress, and focused only on that process, it was very easy and enjoyable. Also, setting a budget is very important, especially if you are paying for the wedding yourself. There are a lot of great tools available online to help with that. 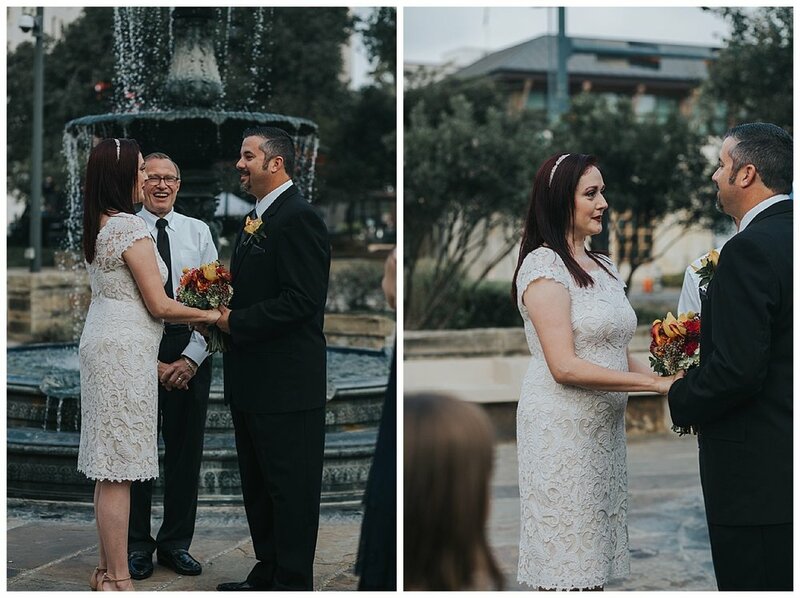 San Antonio Riverwalk - Elopement.